SIMPLY PUT: CHILE is one of the best places for adventure on Earth. It’s a country where you can both surf and hit the slopes before the sun sets, where you can sandboard in the world’s driest desert and hike up giant volcanoes. Whatever outdoor sport or landscape you’re into — dramatic mountains, active volcanoes, walkable glaciers and icefields, geothermal pools, a practically endless coastline — Chile has you covered. Here are nine facts that prove it. 1. The mountaineering and climbing opportunities are some of the world’s most extreme. From fun indoor urban walls to one-day hikes, bouldering to ice climbing, Chile has a huge variety of climbing options for all skill levels. Climb the world’s highest volcano – Given its location on the continental shelf, the Chilean landscape is constantly shifting and evolving — it’s home to around 500 active volcanoes. Straddling the Chile-Argentina border, Ojos del Salado is the highest volcano on the planet. At 22,615 feet, it’s also the highest point in Chile and lures experienced mountaineers from all over the world. The majority of this climb is relatively easy and doesn’t require a huge amount technical skill or knowledge. It’s the final section of the ascent that packs a punch, though the effort is absolutely worth it for the views of the Copiapó Valley below. Scale the granite towers of Torres del Paine National Park – Torres del Paine is a UNESCO Biosphere Reserve home to granite peaks, windswept grasslands, vast ice fields, and glacially fed rivers and lakes. The park has a convenient setup for climbers and hikers of every budget and mindset. There are extensive climbing routes and trail systems good for both day outings to Las Torres and more challenging scalings of the three imposing granite spires of Torres del Paine. 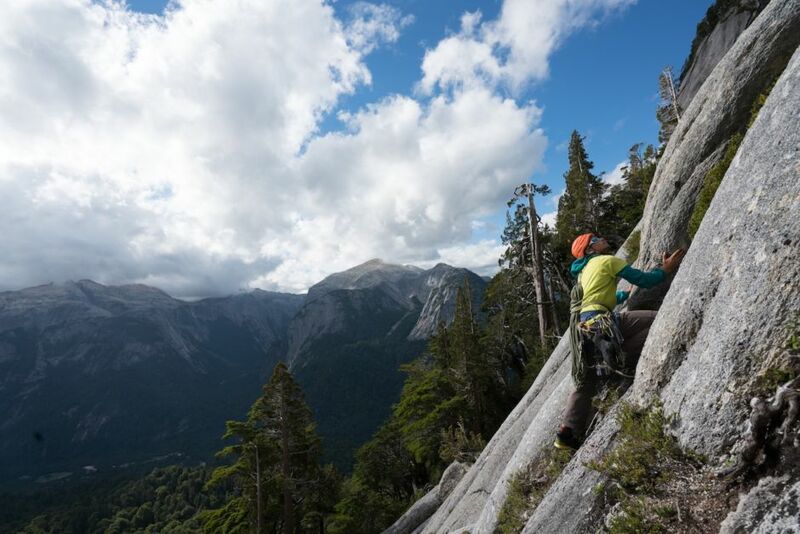 You don’t have to be a world-class alpinist or high-altitude climber to come to these 3,000- to 4,000-foot walls — those who have just a bit of climbing experience (and a good degree of mountain sense) are welcome here. 2. There are ice fields to be explored. 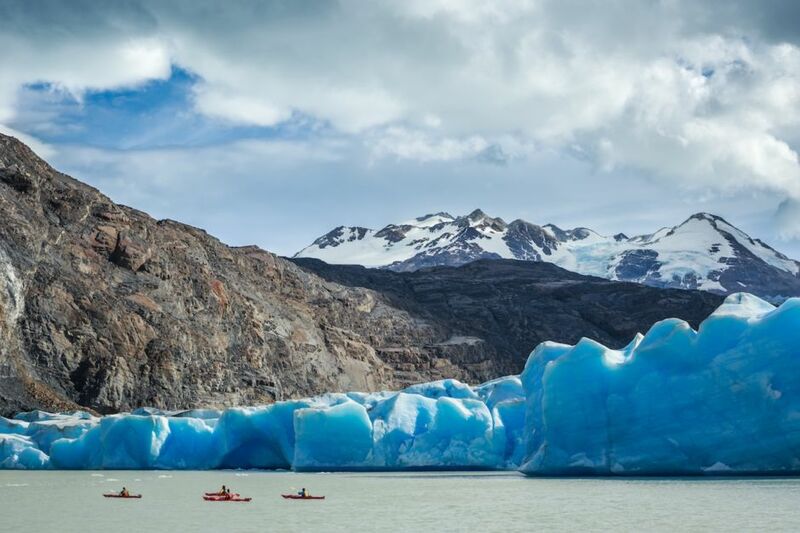 Whether you’ve only got time for a faster trekking trip of just one or two days, or you’re ready to go all-in on an eight-day ski exploration, various companies can take you on otherworldly tours of the Patagonian Icecap. Walk the planet’s largest ice fields in Patagonia – Thousands of square miles of the southern Aysén and Magallanes regions are covered in ice — this is where you’ll find the second-largest continuous mass of ice outside the polar regions. It’s divided into two enormous zones known as Campo de Hielo Patagónico Norte (Northern Patagonian Ice Field) and Campo de Hielo Patagónico Sur (Southern Patagonian Ice Field). The Northern Ice Field is part of Laguna San Rafael National Park, the largest park in the Aysén region. Mount San Valentín — the tallest peak in the southern Andes — is here, from where you’ll be able to marvel at the continuously flowing glaciers, tunnels, and crevasses that surround the park’s showpiece lake. The humbling landscape and weather make crossing the ice an adventure, even for well-seasoned mountaineers. Expeditions require crampons and snowshoes, and it’s a good idea to go with a guide. 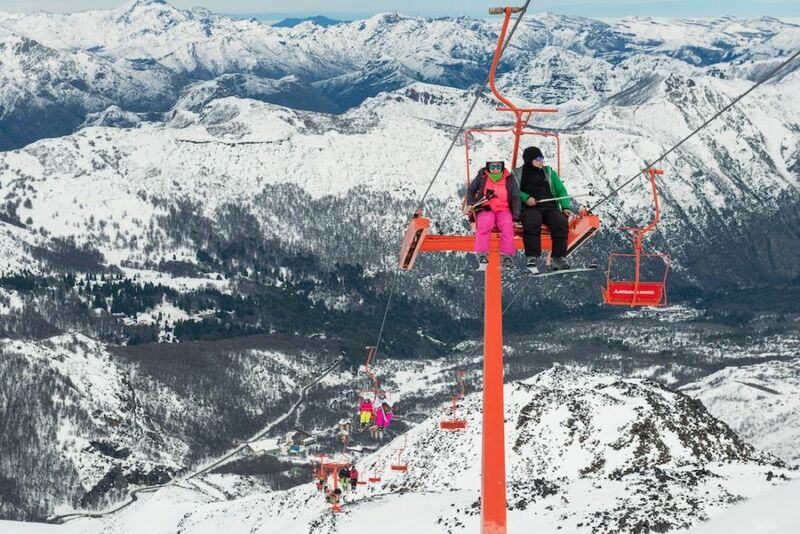 From the end of May through to October — from the ski resorts surrounding Santiago to the volcanic terrain of Nevados de Chillán — Chile is the place for snowsports. Go heli-skiing in the Andes – Accessing fresh snow within the mind-blowing terrain of the high Andes is an unparalleled experience. Slopes average an altitude drop of 4,200 feet, and some helicopter drop-offs are as high as 14,000 feet. A handful of operators, scattered over the country, offer a range of packages. Some are based in ski resorts, letting you mix and match your powder activities. If you’re heading south, you’ll want to heli-ski Yates — one of the largest volcanoes in the Los Lagos region. From there, you’ll get views of Chiloé Island, the Reloncaví Fjord, and the Osorno, Puntiagudo, and Tronador volcanoes. 4. …and you can also board down sand dunes. With some of the biggest dunes in the world, Chile is quickly becoming a popular spot for the awesome (if physically challenging) sport of sandboarding. Surf the sand in the Copiapó Valley, San Pedro de Atacama – Receiving an average of 0.004 inches of rain per year, the Atacama Desert is the driest place on Earth. Parts of this vast desert are spookily isolated and desolate — in the Valley of Copiapó, strong winds whip the sand into waves, creating an ocean-like scape. And the desert attracts extreme sports enthusiasts the world over. The Dakar and Atacama Rallies rip over the dunes annually, and sandboarding is popular in various locations in and around San Pedro. Tip: The temperature varies greatly in the north, reaching high temperatures during the day and dropping rapidly at night. Pack appropriately. 5. There are world-class big waves to surf. 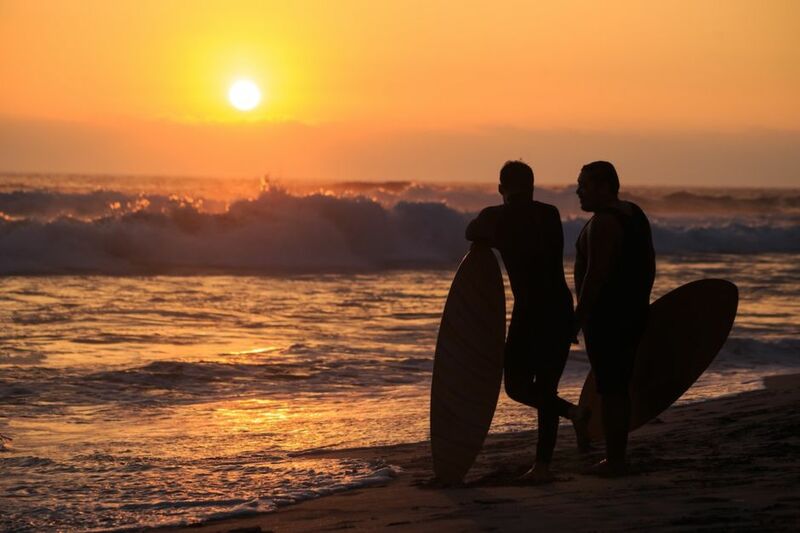 With 2,653 miles of coastline, it’s hardly surprising that Chile’s an amazing country for all kinds of water-based sports, and surfing in particular. The coast is full of sweet spots, but Topocalma, Llico, Matanzas, Las Brisas, Santo Domingo, and Pichidangui (a coastal town found farther north) are all good places to get your feet wet. Catch some breaks at Punta de Lobos – 128 miles south of Santiago by car, Pichilemu is a small beach town popular with Chilean surfers who come from the city to rent a cabana on the weekends. The surazo — strong southern winds — mean you can basically point on a map around Pichilemu and you’ll get a least three point breaks. Punta de Lobos, located just outside town, is one of the most consistent waves in the Southern Hemisphere, with the best left point break in Chile. The monster SW swell draws world-class surfers from across the planet (Quiksilver’s Big Wave Tour surf competition takes place here), and it’s not uncommon to witness waves 25 feet tall racing towards the iconic rock formations, Los Morros, which guard the entrance to the bay. 6. The mountain biking might be the best in the world. Chile has amazing terrain, trails, and peaks for mountain biking, and you don’t need to stray too far from Santiago to experience them. It’s not uncommon, especially on weekends, to see hordes of bike-strapped trucks heading to the local tracks in the steep Andean foothills and valleys around the city. 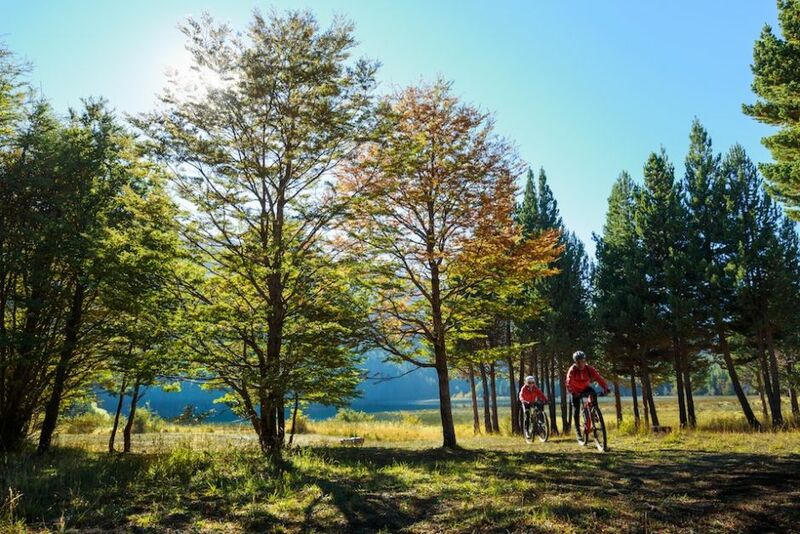 Hit the trails at Cancha Carrera – With its wide variety of topography, Cancha Carrera is one of the standout downhill tracks close to the capital. Running through dense forest, this ride is characterized by natural obstacles, complex conditions, jumps, and fast turns. Not only will you need skill, you’ll need to keep your wits about you — the ride is fast paced and requires a degree of experience to not only stay on track…but to avoid wiping out. Kayaking is one of the best ways to explore the Chilean countryside. With seemingly endless rivers, lakes, and lagoons — all with varying intensities — you can cater your experience to fit your ability and appetite. Paddle Patagonia’s El Futaleufú river – One of the most exciting and challenging rivers in the world, El Futaleufú flows through an isolated portion of the glaciated Andes. The river is famous for its diverse character, from the long and complicated rapids of Throne Room, Terminator, and Canyon del Infierno, to the mellow Río Espolón. Head out on Pirihueico Lake in Panguipulli – Pirihueico is one of seven lakes — the knock-your-socks-off kind of lakes — in southern Chile’s Panguipulli region, and kayaking its glacial waters is the ultimate adventure. Take two days to explore the region: one to paddle the three bays and camp near the hot spring, another to paddle the narrow waterways to Puerto Pirihueico. 8. …and then there’s the kitesurfing. 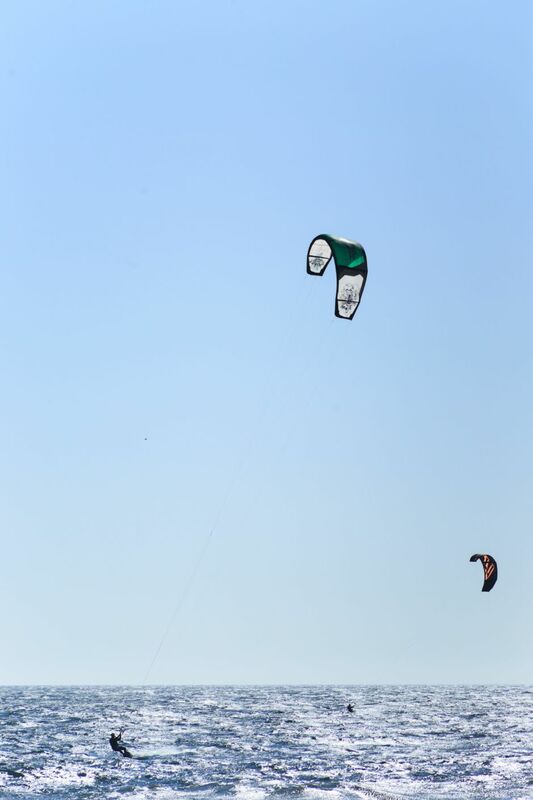 Eight months of strong wind each year makes Chile a superb spot for kitesurfing. That said, you might need to be prepared to travel to get to the best spots, many of which are offshore. But if you’re not looking to make a special trip to test your kitesurfing prowess, fear not. There are several onshore locations with decent conditions, including Pupuya and La Boca. Head for Pupuya, O’Higgins – A 2.5-hour drive from Santiago, Pupuya is a lovely coastal town popular with weekenders from the capital. And when the conditions are ripping the water, you know the sky is going to be dotted with people flipping over the waves. 9. The parasailing is unmatched. The wild Chilean geography — full of hills and high mountains — is the perfect setting for parasailing and all sorts of aerial adventures. 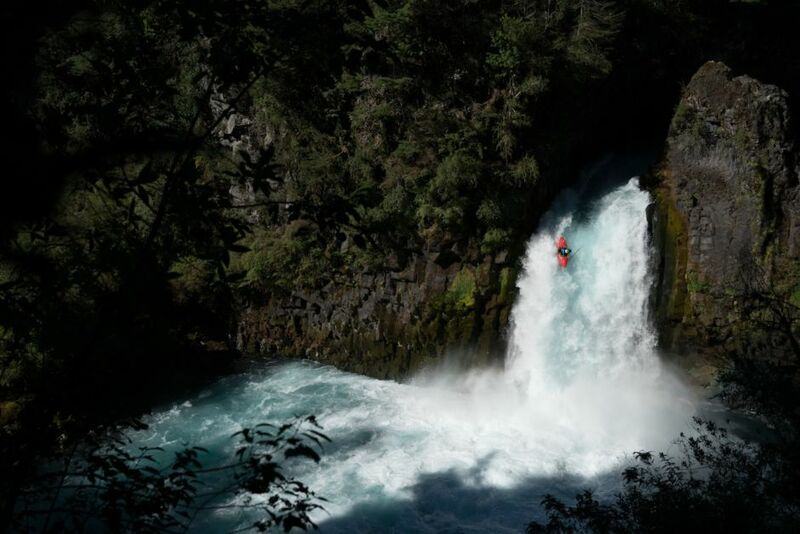 This is one sport that doesn’t require previous experience, and it promises blockbuster views of the Chilean landscape and enough adrenaline to get a buzz on. 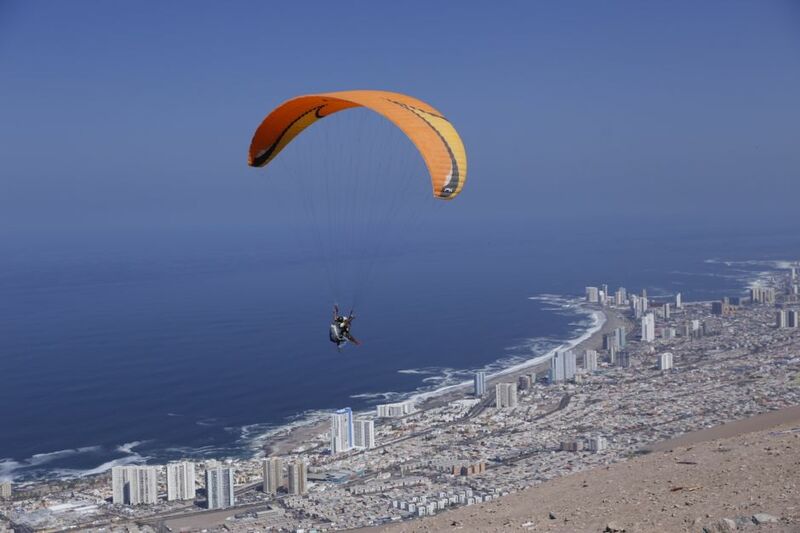 Take off from Morro de Arica – Sitting roughly 450 feet above sea level, this national monument is located in the northern city of Arica. A flight from Morro de Arica offers views over the city and northwards along the coast — on clear days you can see as far as Peru. Launch off a giant urban sand dune – The weather patterns and geography of Iquique mean there’s a steady Pacific breeze blowing against the coastal mountain range, creating ideal conditions for many aerial sports. Looming over the city is Cerro Dragón. At over two miles long, it’s the largest urban sand dune in the world, and it’s the spot for both parasailing and sandboarding. This post is proudly produced in partnership with Chile Travel.